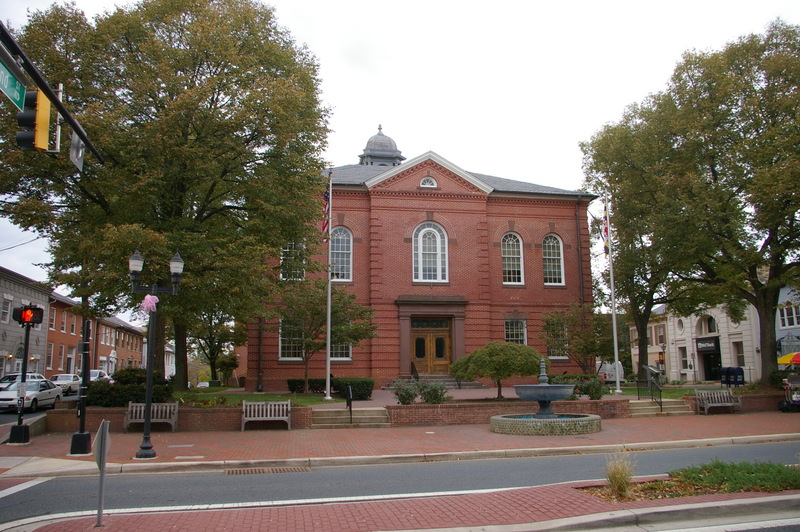 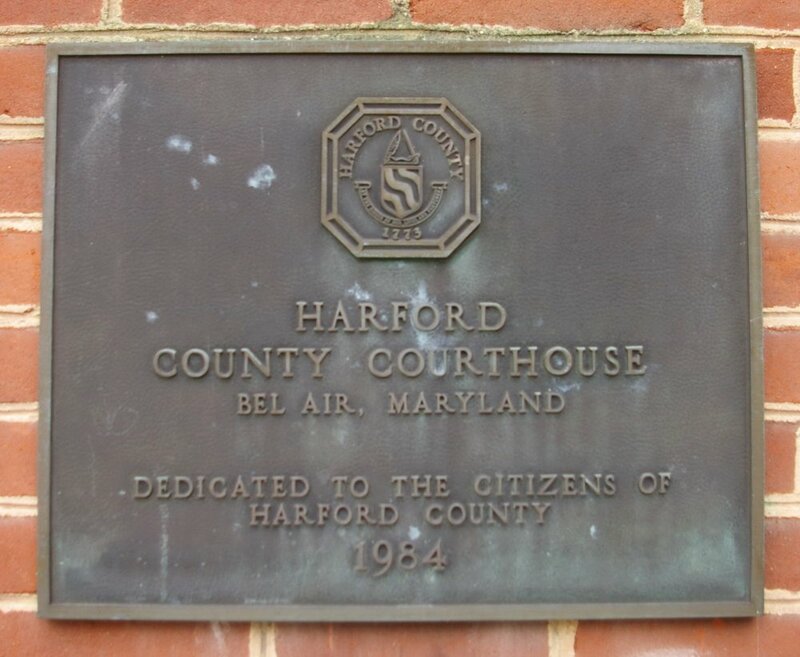 Harford County is named for Henry Harford, who was the illegitimate son of Frederick Calvert, 6th Baron Baltimore. 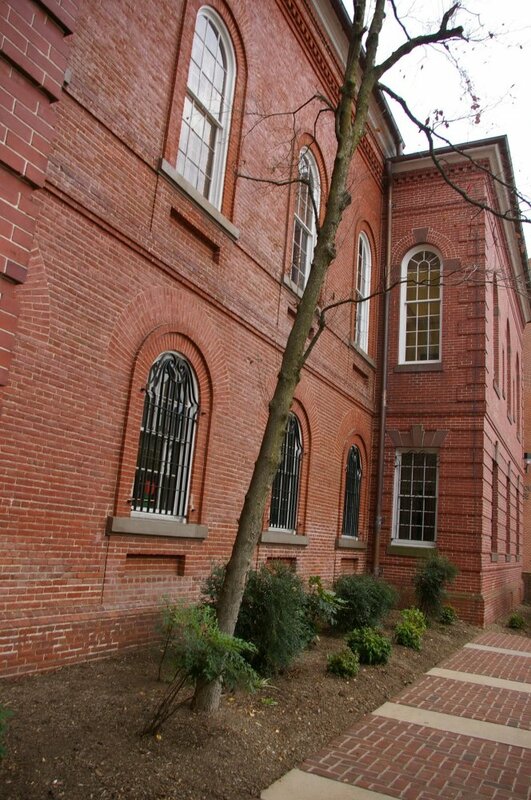 Description: The building faces north east and is a two story red colored brick and wood structure. 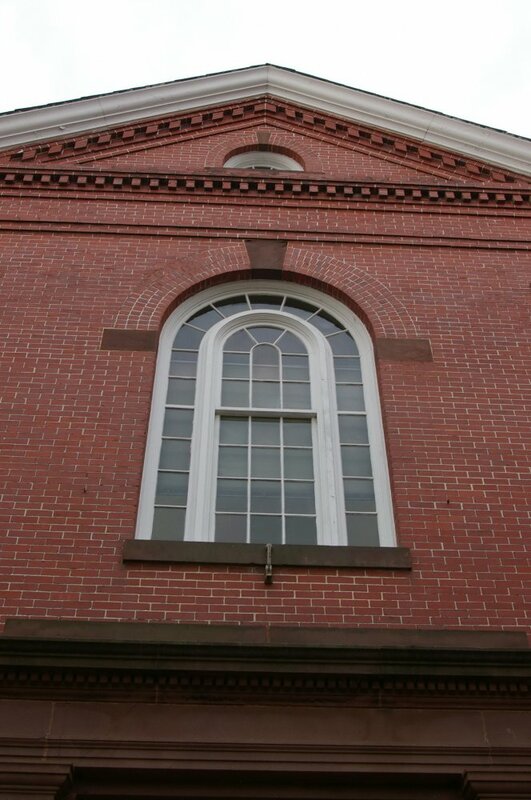 The northeast front has a projecting section at the center with recessed framed entrance and large arched window on the second story. Above is a pediment at the roof line. 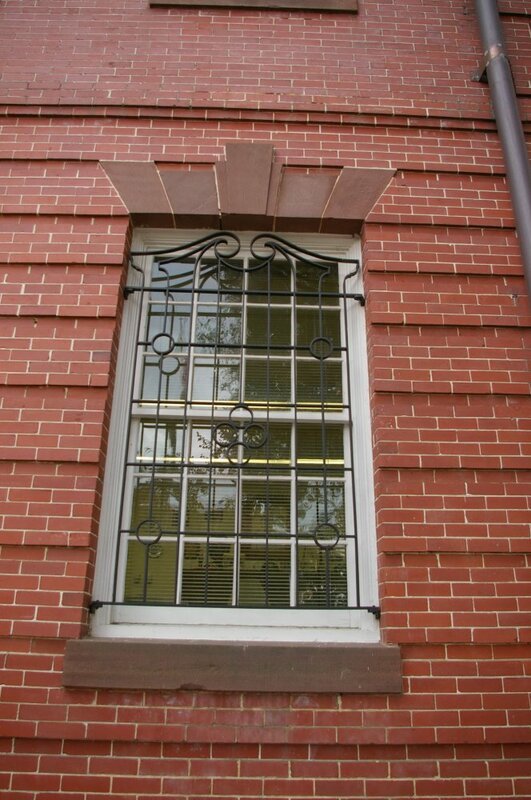 The windows are arched. 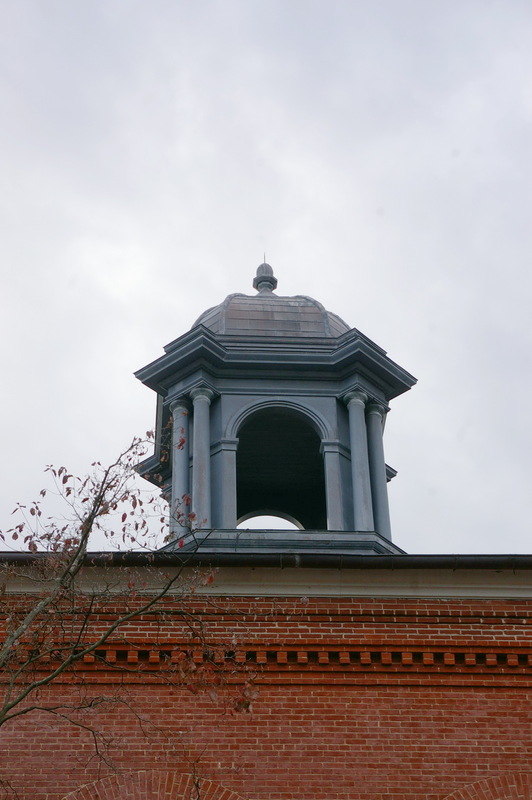 On the center of the hipped roof is a square open cupola. 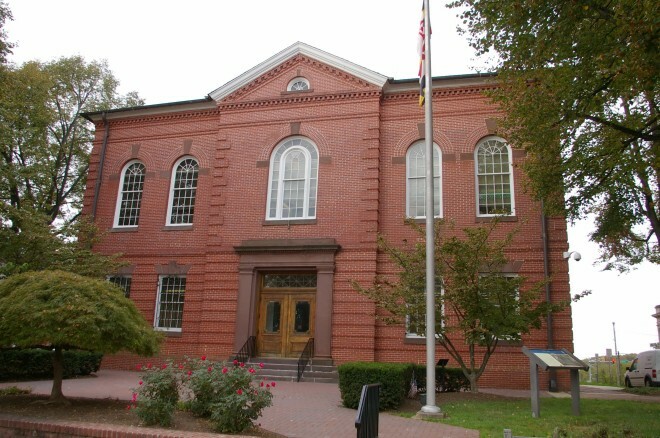 The building was remodeled in 1904 with the addition of the front section. 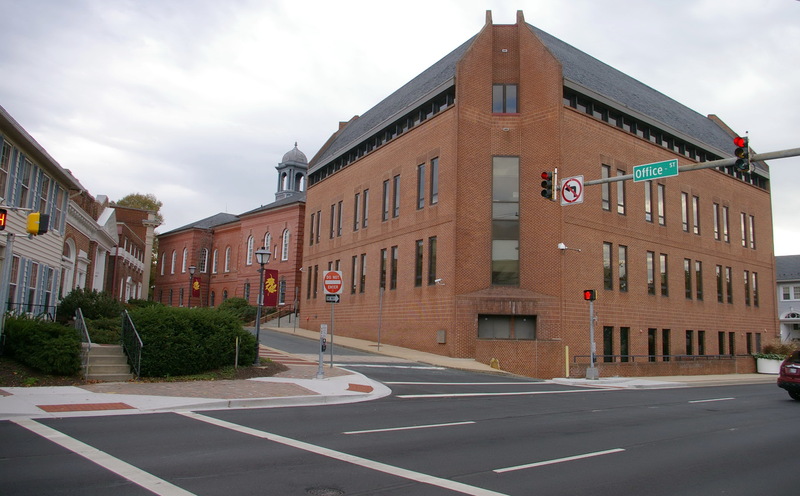 The architect was John A Dempwolf of York Pennsylvania. 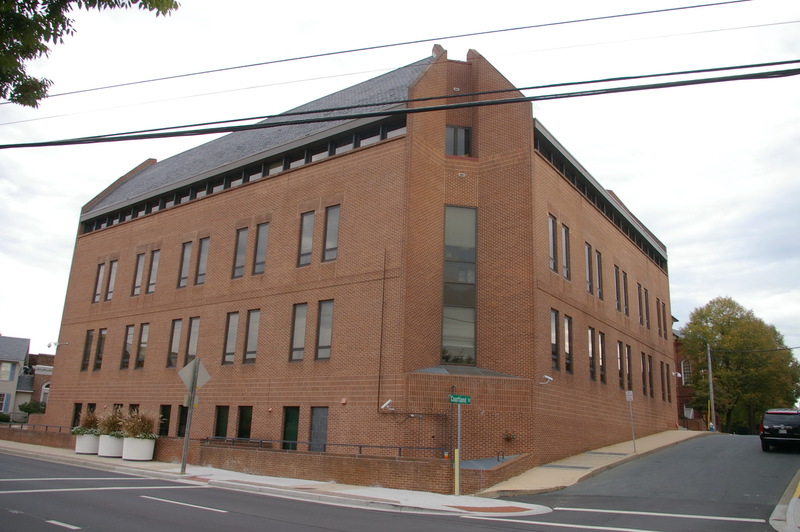 On the west side is the new courthouse which is connected to the old courthouse. 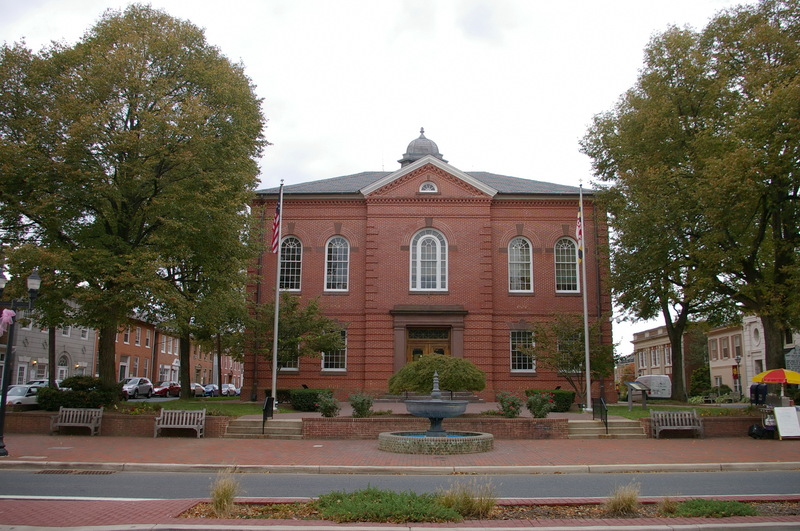 Description: The building faces northwest and is a two story red colored brick and concrete structure. 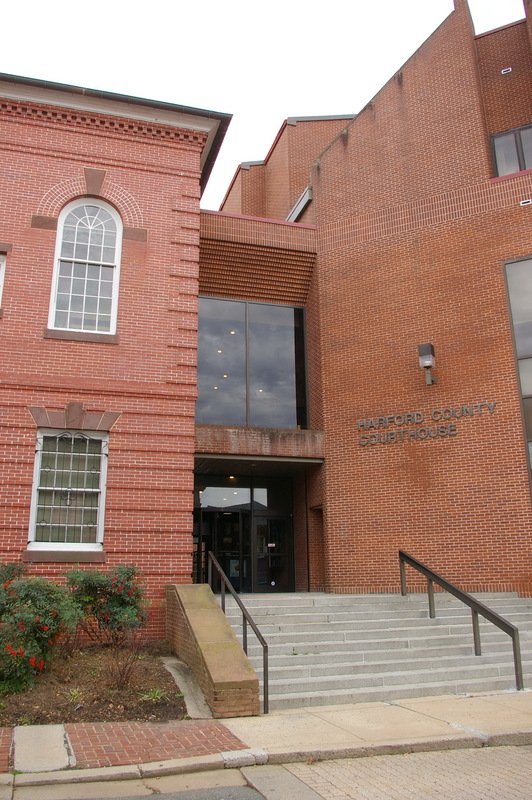 The main entrance is on the north side of the northwest front where the building is connected to the old courthouse. 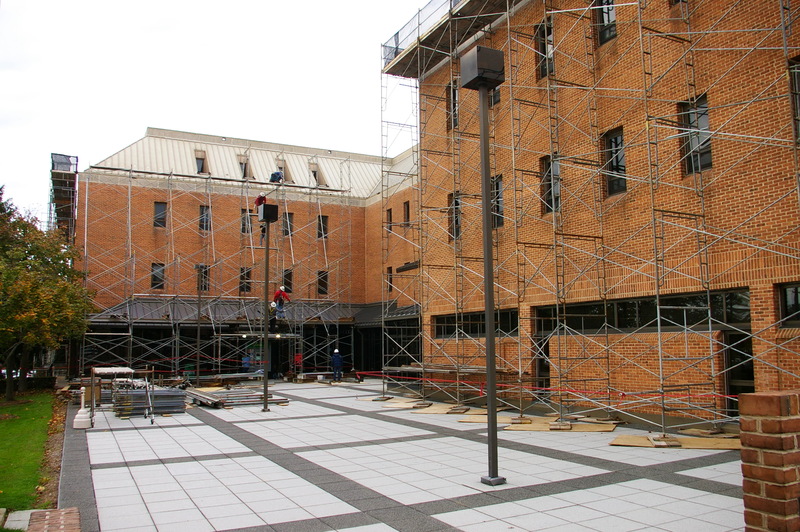 The outer part of the roof is sloped. 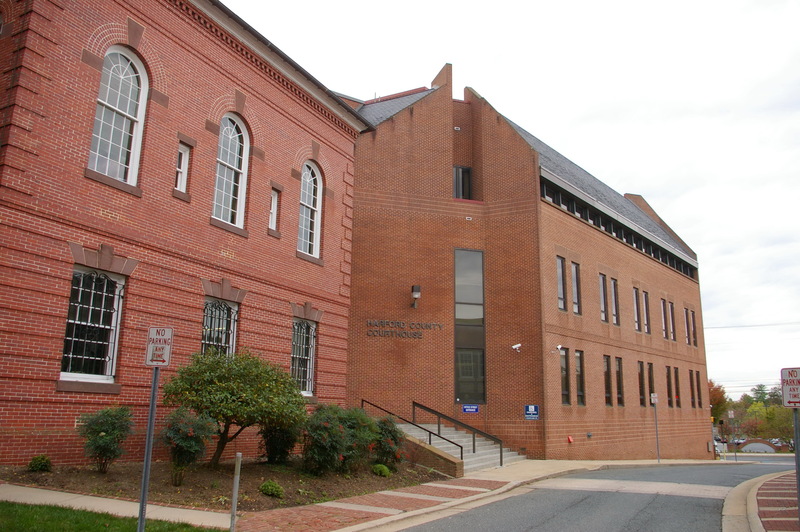 Description: The building faces southeast and is a three story buff colored brick and concrete structure. 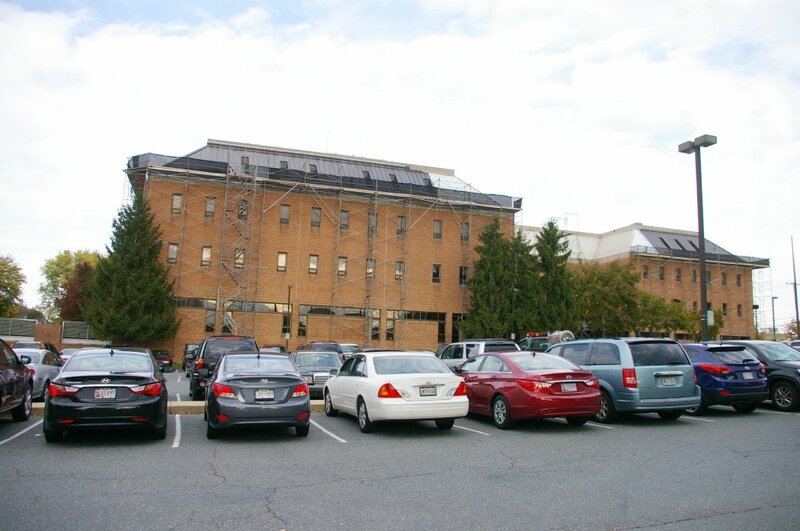 The building is a “U” shape with the south wing extending further to the east. The entrance is at the north side of the south wing. The edge of the roof is sloped. 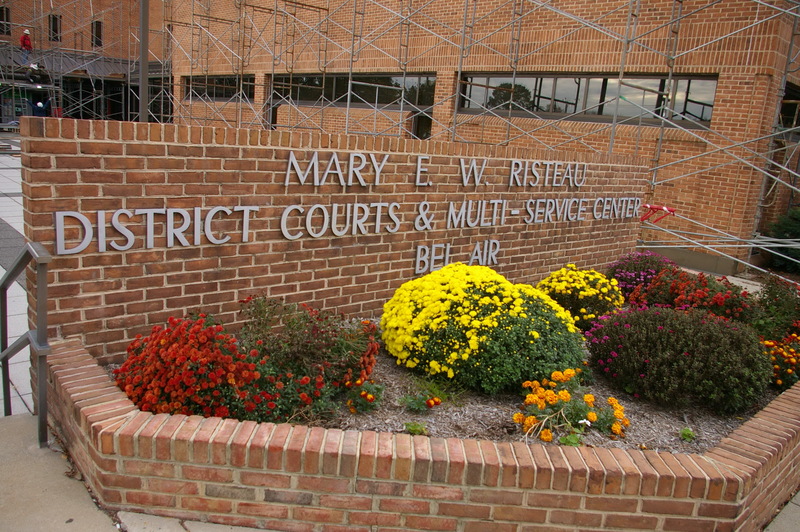 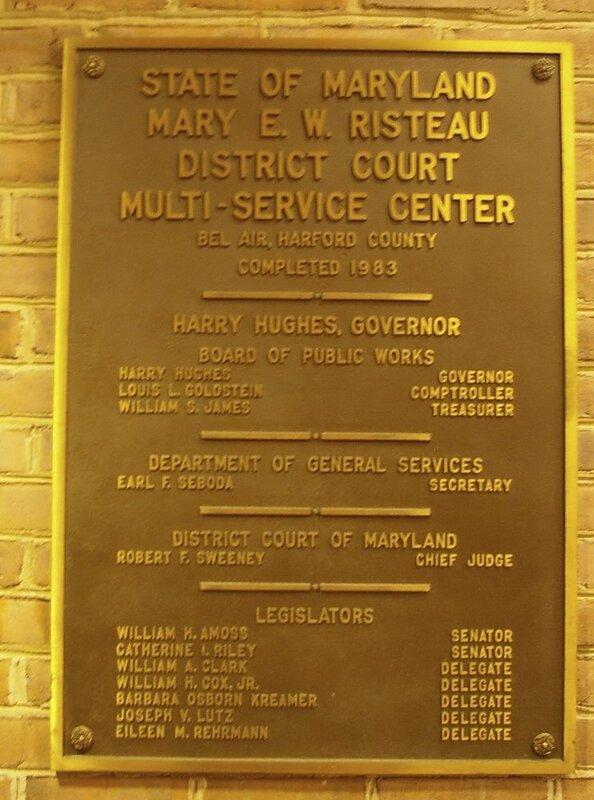 The building is named as the Mary E W Risteau District Court & Multi Service Center. 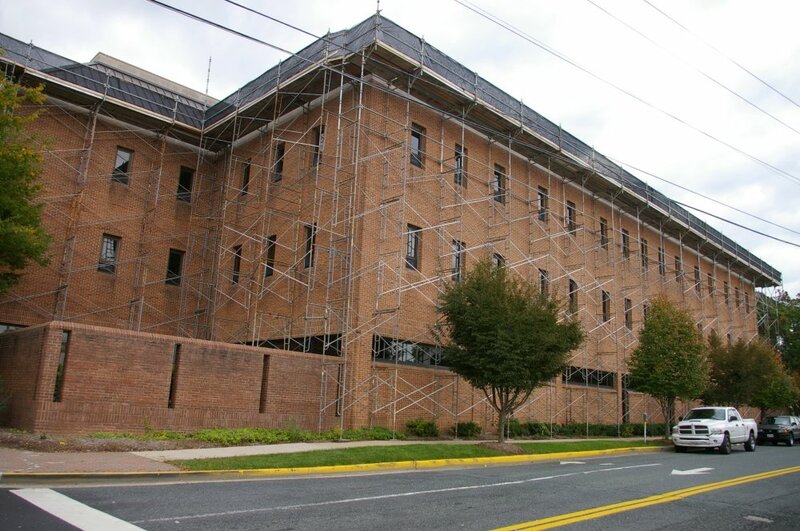 The building is being renovated in 2013.